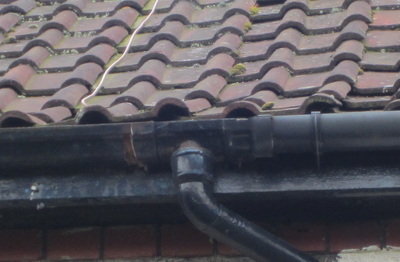 In 2005 a pair of swifts started to nest for the first time under a raised roof tile at the front of our house. The tile was sitting on the TV cable and was slightly higher than all the others around it. The swifts managed to squeeze under it and gained entry into the tiny roof space between the soffit and the attic. In that space they raised their first chicks later on that summer. Since then they have been returning every year, around the last week in April to the same nest site under the roof tiles to breed. Swifts are sociable birds and like to nest together, so if nest sites are readily available they will form large colonies. 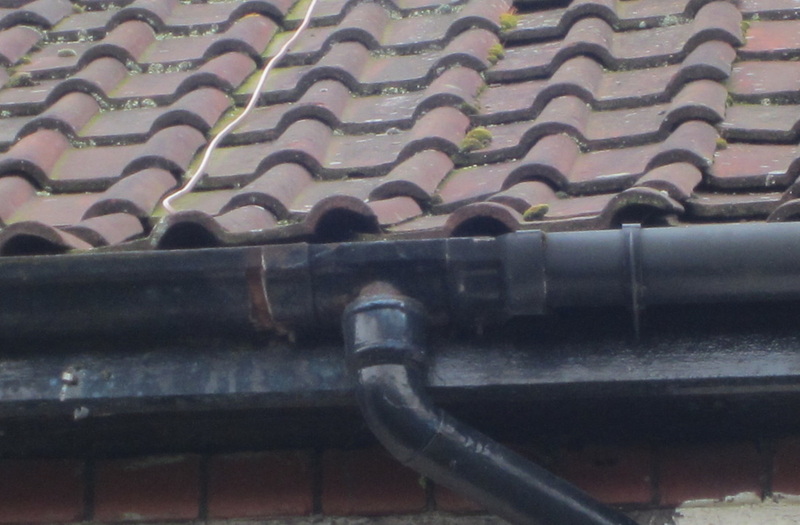 Unfortunately access to the roof tiles for other swifts to join my original pair wasn't an option unless I did something to help them. It soon became apparent that it was impossible to provide anymore natural nest sites, so the next best thing I could do was to put up nest boxes instead. At that time there was little information on th Internet, so I decided to design and build my own. 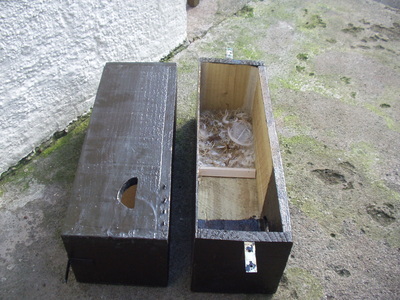 Luckily swifts take quite readily to artificial nest sites and within a few years the colony had grown to 14 pairs using my home made swift boxes. 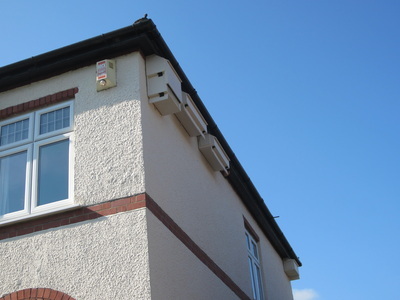 I have several sizes of nest boxes around my house, which are in place from April to August as they all have internal cameras and I take them down when the swifts have fledged. 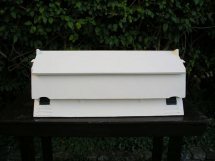 These are some of our swift boxes. 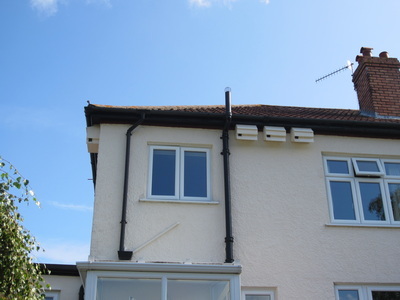 Swifts are almost entirely dependent on our buildings for their nesting sites, squeezing into small nooks and crannies generally under the roof tiles or soffits to nest. Most of these are natural nest sites found in older buildings pre 1945. Unfortunately when these buildings are refurbished these little openings are inadvertently sealed up by the homeowner and the nest sites are lost forever. To make matters even worse virtually all new buildings built since 1945 are extremely wildlife “unfriendly” with no spaces provided for wildlife at all. 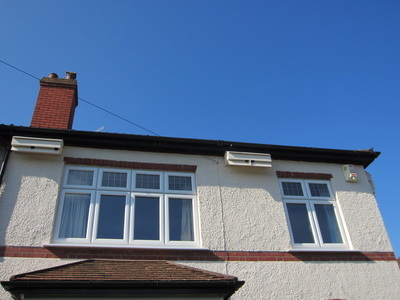 However things are just beginning to change for the better with Councils and Developers starting to incorporate nesting sites into their new building projects more frequently. Swifts are extremely site faithful so once they have found a suitable nest site they will continue to use it for the rest of their lives. Some colonies are very old indeed and have been used by successive swift generations for tens if not, hundreds of years. Their dependence on our buildings makes them very vulnerable to any sort of disturbance, so once a colony has been destroyed it makes it very difficult for them to find a new home and a whole breeding season can be lost forever. Swift’s numbers are declining for a variety of different reasons but one all the experts can agree on is the lack of suitable nest sites available to them. Like so many other small birds, swift numbers have declined sharply in recent years, some estimates suggest by up to 50%. Perhaps you might want to help maintain a local colony or maybe try to attract swifts to nest at your property by installing nest boxes? Whatever it is we can offer you some help and advice. Please take a look at our Bristol Swifts website.